Guitar Legend Peter Banks’s Harmony In Diversity “The Complete Recordings” Now Available! London – Peter Banks was one of the original members of YES and an accomplished guitarist, but sadly passed away in 2013. This set is being released in his memory, by his Estate, during the 5th anniversary of his passing and the 50th Anniversary of YES. YES and Flash guitar legend Peter Banks’s Be Well, Be Safe, Be Lucky…The Anthology 2CD & The Self-Contained Trilogy 3CD are now available! Peter Banks was one of the original members of YES and an accomplished guitarist, but sadly passed away in 2013. Be Well, Be Safe, Be Lucky…The Anthology is the FIRST EVER compilation of his solo career. 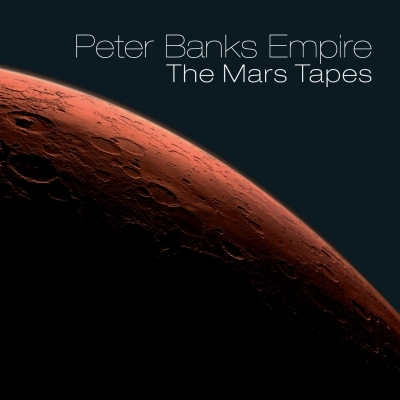 EMPIRE FEATURING PETER BANKS & SYDNEY FOXX THE COMPLETE RECORDINGS – OUT NOW! THE COMPLETE RECORDINGS – OUT NOW! Featuring original YES & Flash Guitar Legend Peter Banks! London – EMPIRE FEATURING PETER BANKS & SYDNEY FOXX – THE COMPLETE RECORDINGS is the first release by The Peter Banks Musical Estate (via Cherry Red) and is also fully endorsed by Sydney Jordan (Foxx). The set includes the songs from all three EMPIRE studio albums and The Mars Tapes together in one place. The 40 page booklet features six different sets of liner notes and extensive pictures from the personal archives of band members. The audio has received a 2017 remaster. Peter Banks passed away in 2013 but his musical legacy will live on with a series of official definitive album releases throughout 2018 and 2019. The Peter Banks Musical Estate is represented by Daniel Earnshaw. London, UK – Much to the excitement of prog fans worldwide, rare recordings of guitar legend Peter Banks, best known for his work with YES and FLASH, is now available on GONZO Multimedia! Peter Banks Empire ‘The Mars Tapes’ (2-CD set) represents Empire lll in rehearsal at Mars Studios in Los Angeles in 1979. The band had set up camp at Mars Studios for six months rehearsing and showcasing their music, much of which has been unheard until this release. The band basically recorded every thing they did off the board, tape hiss and all.